Environment • December opening of culverts in Great Salt Lake tests theory on how mercury in the water becomes more poisonous. 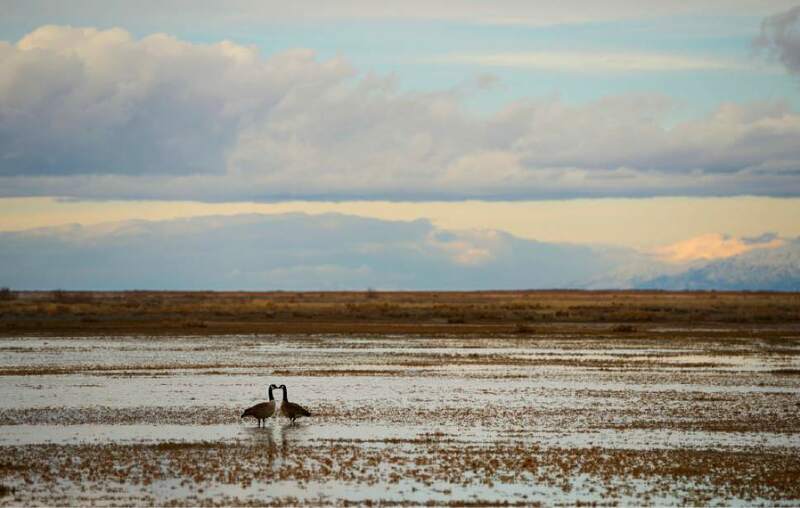 Francisco Kjolseth | Tribune file photo A pair of geese appear to touch beaks as they forage in the shallows of the Great Salt Lake on Thursday, Feb.13, 2014. 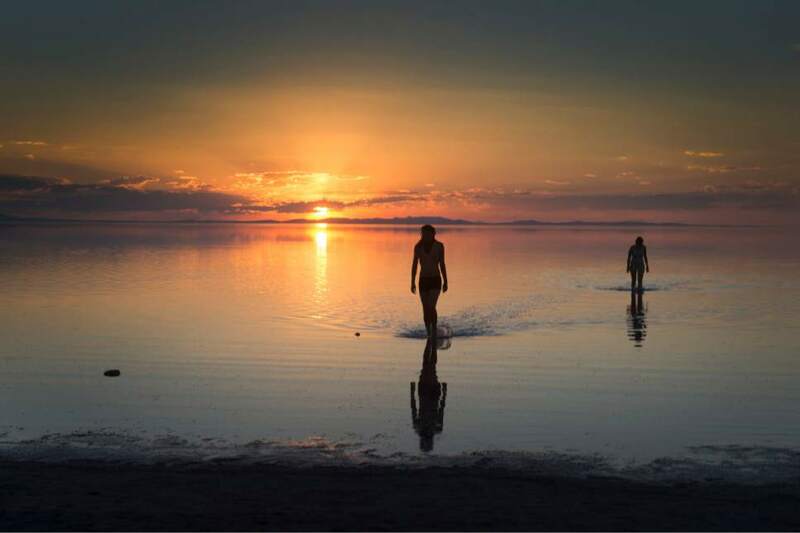 Steve Griffin | Tribune file photo People walk on the dry lake bottom of the Great Salt Lake in Salt Lake City Thursday May 26, 2016. The drying of the lake could lead to toxic dust clouds that may impact the new prison. A new study from a University of Utah professor intends to determine what is in the dust that inmates and guards may breathe. Rick Egan | Tribune file photo Bas Tim, and Jes Downey, Greenville, NC, walk to the shore after floating in the Great Salt Lake on Antelope Island, Monday, September 15, 2014 Steve Griffin | Tribune file photo A sailboat's sails are filled as the afternoon breeze blows across the Great Salt Lake in Salt Lake City, Monday, June 22, 2015. 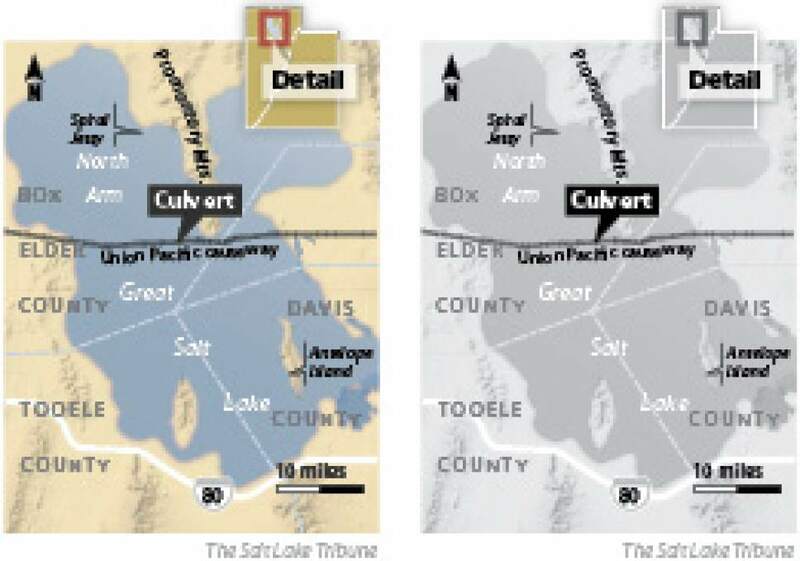 Causeway culvert and bridge plan Union Pacific is seeking permission to close off a culvert and build a bridge along the railroad causeway that serves as a crucial short-cut across Great Salt Lake. 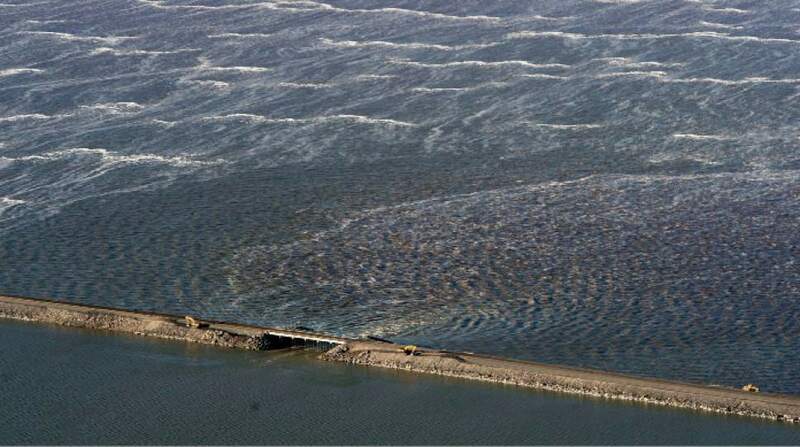 Steve Griffin | Tribune file photo A breach in the Union Pacific causeway that separates the the north and the south ends of the Great Salt Lake Friday December 2, 2016. Steve Griffin | Tribune file photo A breach in the Union Pacific causeway that separates the the north and the south ends of the Great Salt Lake Friday December 2, 2016. Steve Griffin | Tribune file photo A breach in the Union Pacific causeway that separates the the north and the south ends of the Great Salt Lake Friday December 2, 2016. 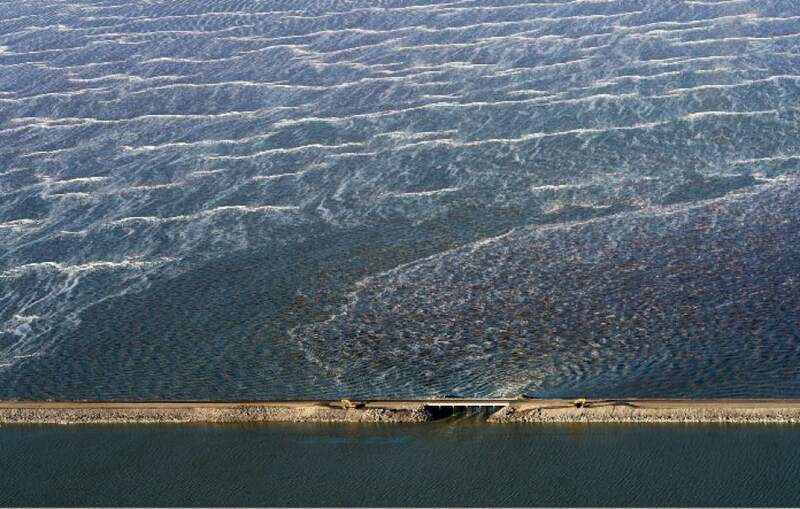 Al Hartmann | The Salt Lake Tribune Water flows around the new, wider breach in the causeway that separates the north and south arms of the Great Salt Lake. 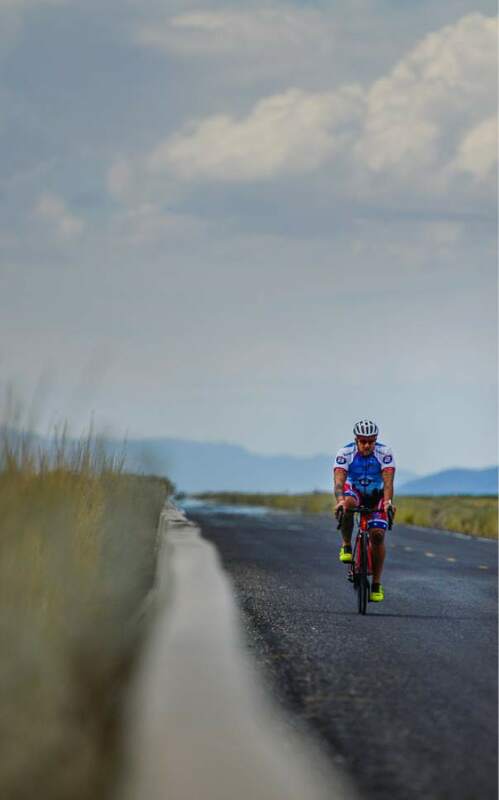 Francisco Kjolseth | Tribune file photo A cyclist rides the frontage road along the Great Salt Lake on Wednesday, July 22, 2015. Steve Griffin | Tribune file photo A breach in the Union Pacific causeway that separates the the north and the south ends of the Great Salt Lake Friday December 2, 2016. 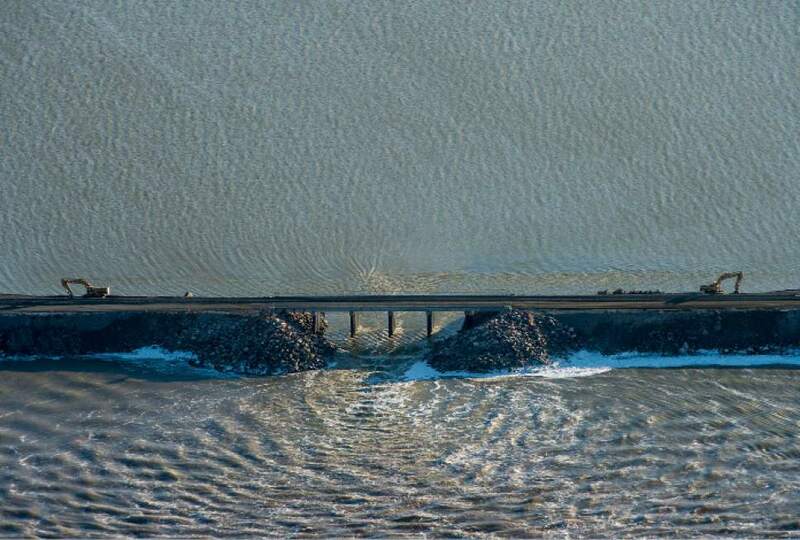 Steve Griffin | Tribune file photo A breach in the Union Pacific causeway that separates the the north and the south ends of the Great Salt Lake Friday December 2, 2016. 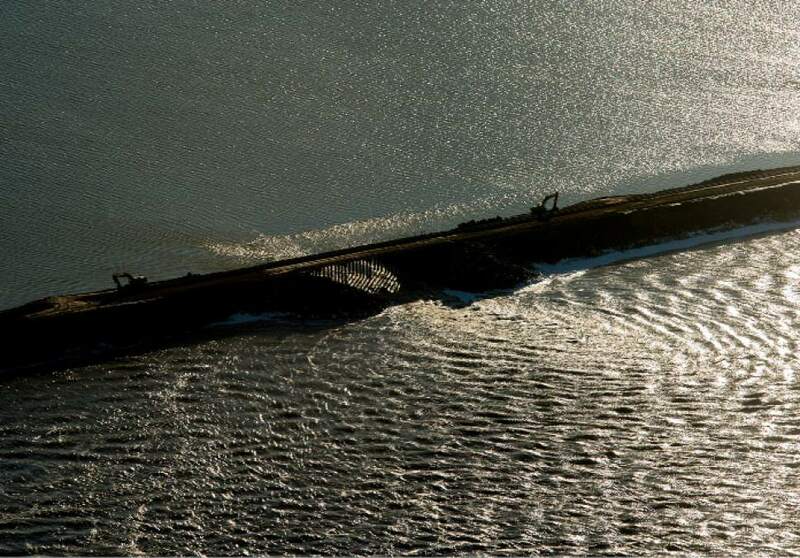 Steve Griffin | Tribune file photo A breach in the Union Pacific causeway that separates the the north and the south ends of the Great Salt Lake Friday December 2, 2016. Steve Griffin | Tribune file photo A breach in the Union Pacific causeway that separates the the north and the south ends of the Great Salt Lake Friday December 2, 2016. 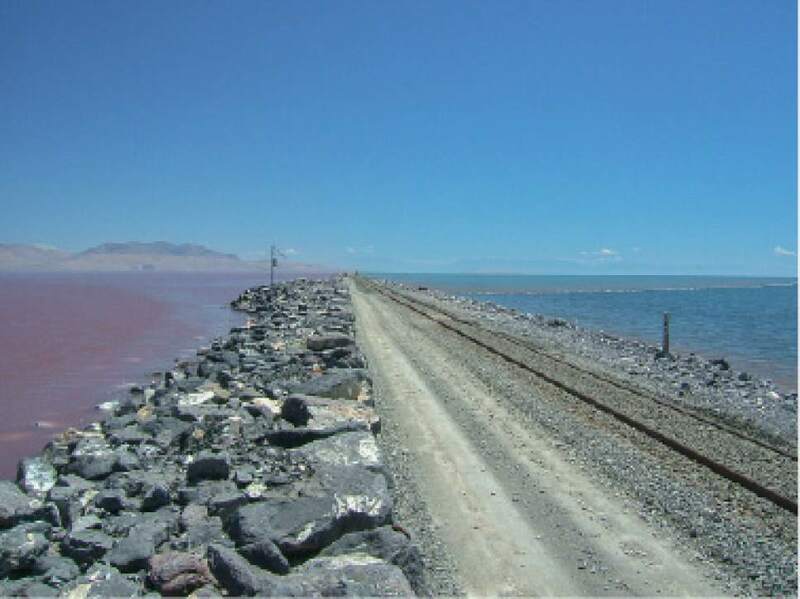 Wayne Wurtsbaugh | Utah State University Since 1959 Union Pacific Railroad's rock causeway has isolated the Great Salt Lake's hyper-saline North Arm, the reddish water on the left, from the rest of the lake to the south. Utah and federal regulators are now weighing the railroad's plan to construct a 150-foot breach and bridge that would allow water to travel back and forth. Without such mixing, the lake's overseers fear the South Arm could experience swings in its salt load to the detriment of industries and tiny organisms that depend on the lake. After a temporary hiatus, a highly poisonous form of mercury may soon return to the Great Salt Lake. Scientists are closely monitoring the lake&apos;s intricate ecosystem after a breach was opened in December beneath the Union Pacific Railroad causeway that bisects it, connecting water in the lake&apos;s northern and southern portions for the first time since 2011. The saline lake once held the highest concentrations of methylmercury ever recorded by the U.S. Geological Survey, but levels of the toxin fell by 90 percent between 2010 and 2015, according to Bill Johnson, a professor of geology and geophysics at the University of Utah. The breach is giving researchers a rare opportunity to test their decade-old theory that the presence of methlymercury is linked to the causeway and its effects on sediments and bacteria in the lake&apos;s murky depths. 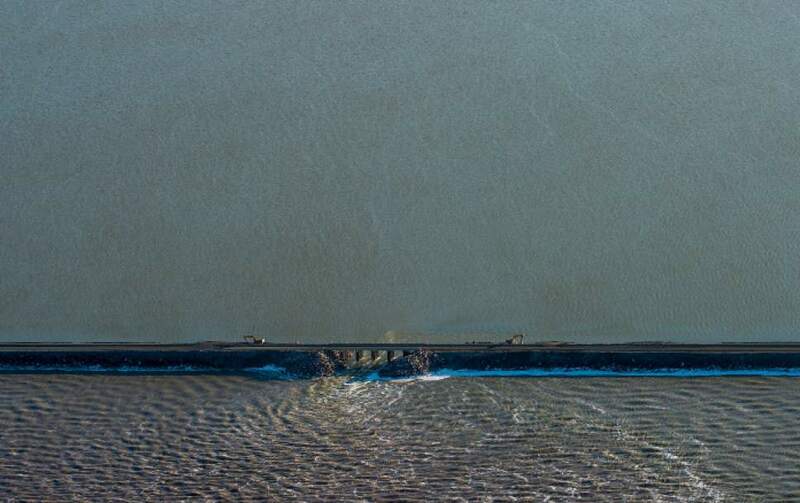 "We kind of had this grand experiment going on the Great Salt Lake when the culverts were closed," said Cory Angeroth, associate director of the Utah Water Science Center and a researcher on the project. Toxic mix • Mercury is a neurotoxin that becomes especially dangerous when it combines with carbon to form methlymercury, which is much more mobile in natural ecosystems. Methylmercury forms when naturally occurring aquatic bacteria digest inorganic mercury present in their environment, whether natural or, more likely, deposited by human activities such as coal burning. Anaerobic bacteria  microorganisms that live in environments that lack oxygen  are especially good at making methlymercury. And that&apos;s where the Great Salt Lake is vulnerable, Johnson said. The lake is known to feature what scientists call a deep brine layer. The water there is so salty that it can&apos;t mix with the lake&apos;s upper layers, blocking oxygen from penetrating to the bottom of the lake and creating a perfect environment for methylmercury-making bacteria to thrive. Most living organisms have no means of disposing of methlymercury once it enters their bodies. So over time the toxin builds up in fish, wildlife and potentially humans who eat either, greatly increasing the likelihood of mercury poisoning. The Great Salt Lake is, of course, devoid of fish. But birds that live around the lake have been found to contain elevated levels of mercury in their tissues, leading to warnings that hunters should not consume waterfowl caught within the lake&apos;s vicinity. Migratory birds that spend time at the Great Salt Lake also have been known to pick up mercury while there, Johnson said. Open channel • Culverts underneath the Union Pacific Railroad causeway across the lake were filled in 2011 when they became unstable and began to sink, compromising the railroad tracks above them. In exchange for permission to fill the culverts, Union Pacific agreed to cut a new opening to allow water to flow to both sides of the lake. That breach was opened last December, after several months of delay. 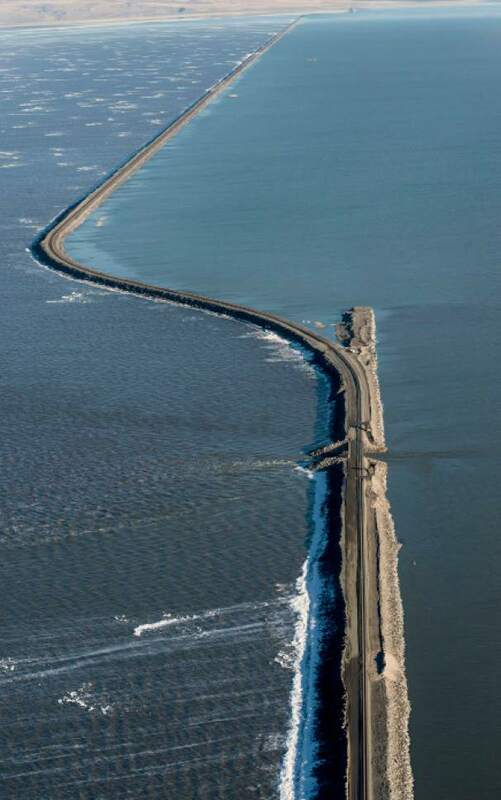 The Union Pacific causeway essentially cuts the Great Salt Lake into two halves. Fresh water only flows into the lake on the south end, so the north side of the lake tends to be shallower and saltier. 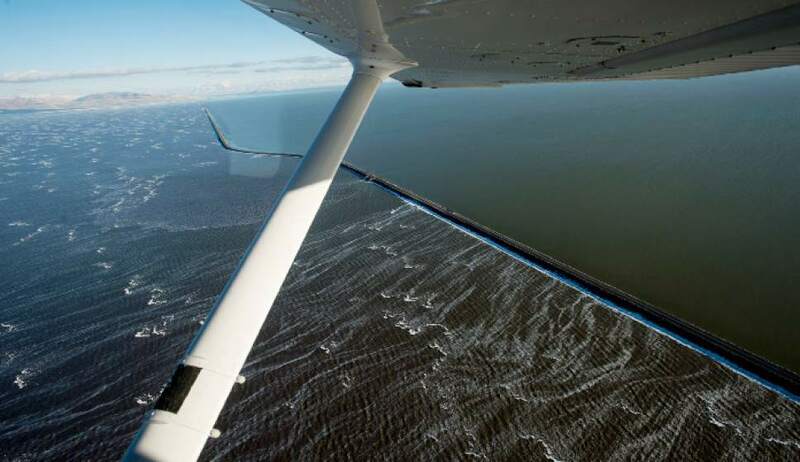 When water from the north arm flows back into the south, that salty water sinks to the bottom of the lake, creating the deep brine layer, Johnson said. It wasn&apos;t just the methylmercury that all but disappeared from the lake while the culverts were sealed. The deep brine layer also vanished  a result that Angeroth said scientists did not expect to see. "The deep brine layer is not natural," he said. "It only occurs when you&apos;ve limited mixing between the two arms. … It&apos;s definitely driven by the way that we&apos;ve managed the lake. If we close the causeway or get rid of it, this won&apos;t happen. The methylmercury will go away." Or at least, that&apos;s the prevailing theory. Ripe for science • With the causeway breach re-opened, Angeroth said scientists are getting a glimpse of lake ecosystem dynamics denied to prior researchers. He said they will monitor multiple locations on the lake as they watch for the deep brine layer to re-form. "We want to see what happens as the north arm water moves south," Angeroth said. "Will it establish the deep brine layer? How long does it take for the mercury methylation to begin to rise in the south arm?" Scientists also have questions about the rate of mercury contamination among the lake&apos;s waterfowl, which remained unchanged in 2015. That could suggest that the birds are actually picking up mercury from another source and not the deep brine layer. "At least on the surface of it, it&apos;s not the deep brine layer," Johnson said. "It&apos;s complicated, so we can&apos;t rule it out, but it&apos;s a reasonable assumption to make." What researchers learn could affect how the lake is managed for years to come, Johnson said. "Understanding where these things end up is important if you&apos;re trying to predict how much can be input into the lake without drastically changing it," Johnson said. 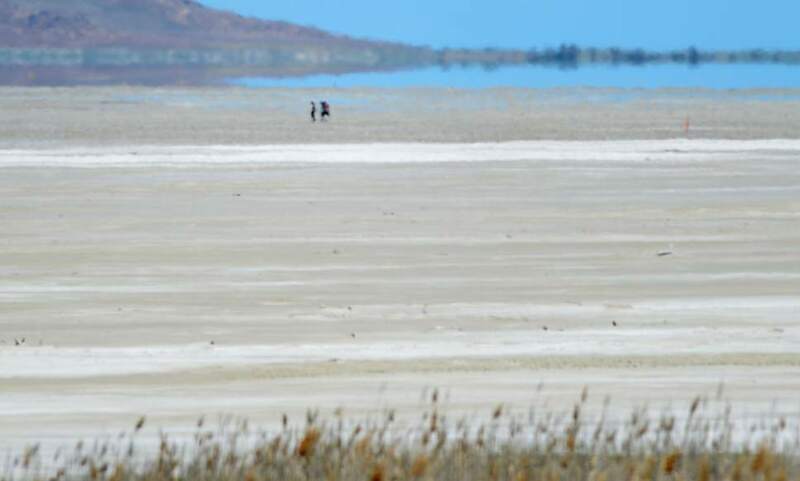 Jason Curry, a spokesman for the Utah Division of Forestry Fire and State Lands  which oversees the Great Salt Lake and is paying for Johnson and Angeroth&apos;s research  said the agency is eager to understand the lake better. "It&apos;s such a complex ecosystem," Curry said. "It&apos;s like an interweaved set of connections, and once you move one of those connections a little bit, it&apos;s impossible to predict what movements will occur in other aspects of the lake."